3rd party apps? Relying on cloud based services? no, no, no (at least for me). I really dislike having to rely on external sockets (pun intended) to do this type of thing. Dropbox? Sure why not. Logmein? Great as a backup option to direct IP. 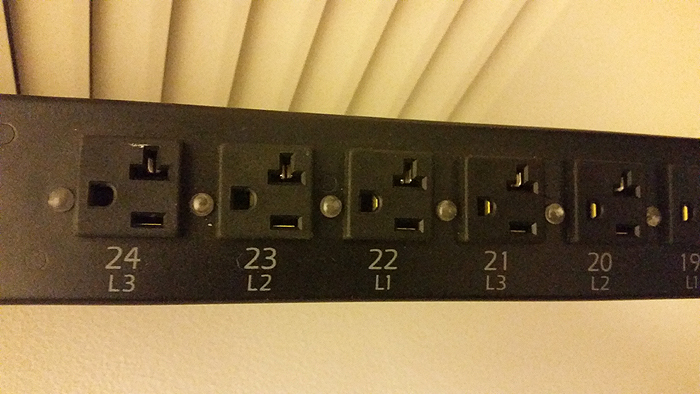 Outlets, however, should be under your direct network control/supervision. ~$44 (on sale — usually every couple of days) for a reliable commercial appliance that individually controls 24 outlets with schedule and reboot options? Sure thing! There’s a chance you can find these with standard 120V input, but I think the cost will be much higher. I only know that this seller has a decent amount of these from a DC out in Brooklyn. I dropped by their office to pick up locally, but even so the cost of two WeMo switches would exceed the cost of only one of these units with shipping. 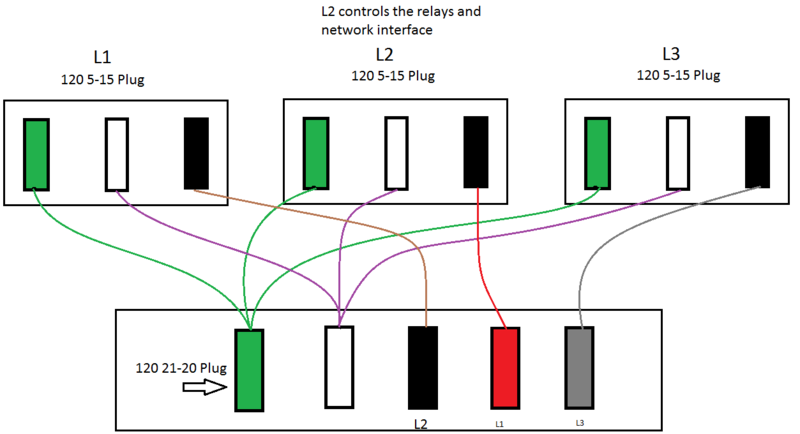 208V / 120V input — Conversion of 3 phase down to 1-1-1 takes an entire ten minutes to do for people who are not professionals. I took some advice from a staff electrician in order to complete the project safely. Any IT administrator who has spent time behind a rack knows how useful these things can be, but they are usually about $500-1,000 so the concept of putting them in a residential environment was seen as a joke (probably still is). The result of the above diagram looks a little silly though. Keep in mind the gas pump hose sized cord coming out of this PDU is equipped to deal with some severe amperage, so it doesn’t seem fair to size it down to such a basic and limited plug. 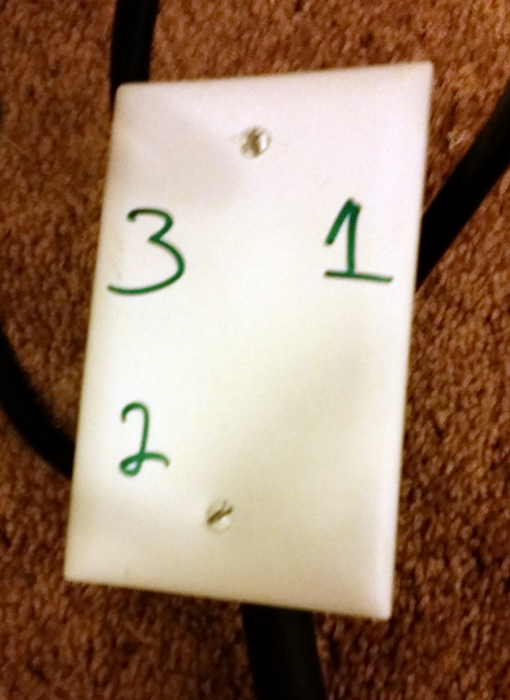 My electrician and I came up with a simple way to divide the loads and take a much safer approach to larger amp draws (if need be). 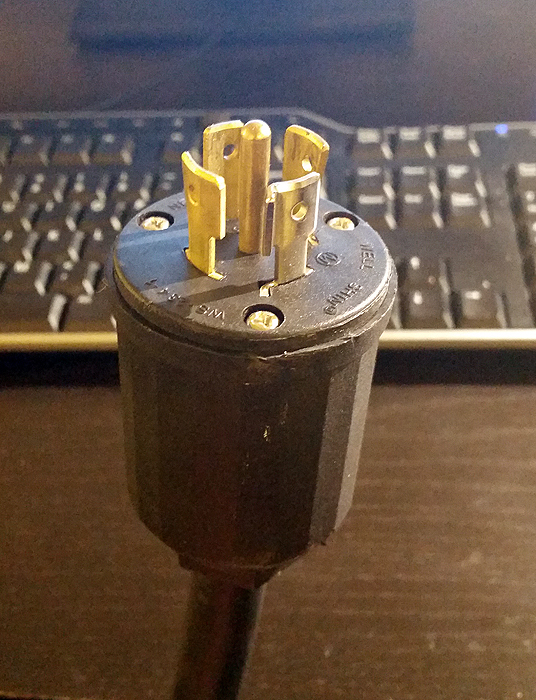 The trick to assembling this properly is that your wires running to each plug should be a decent gauge. Here’s the junction box. With this particular eBay seller, the PDUs were NOT factory reset and the only way to control it was to reset the password via serial. If you need a diagram for that pin-out against an RJ11, there are diagrams online. 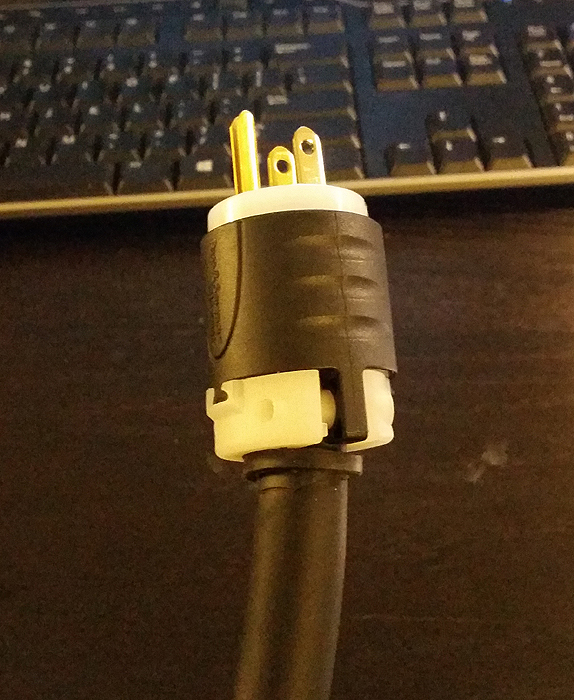 Otherwise, a serial cable can be purchased for a few dollars on eBay. The total time to reset the password was about 30 seconds per PDU. 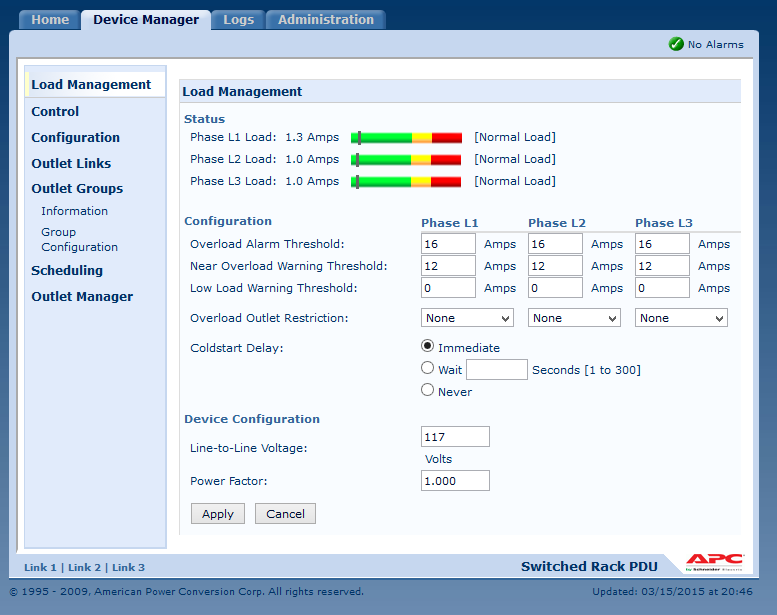 As you would suspect, you can control an array of features including individual outlet schedules, reboot and initialize timings, SNMP traps, e-mail notifications, outlet groups, et cetera. Now for the creative aspect beyond just using them to reboot your network equipment. 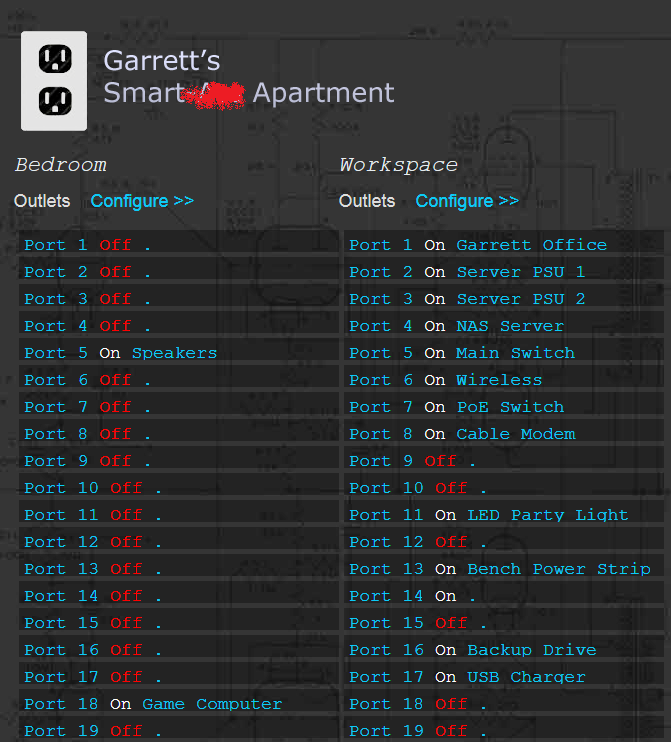 I use two PDUs as “smart home” devices. 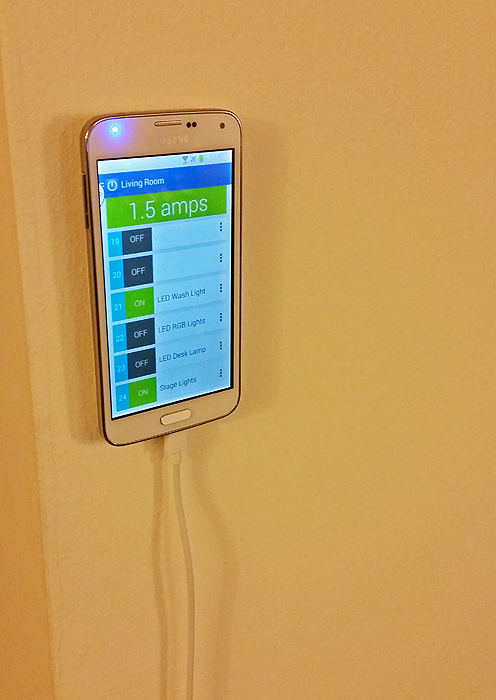 To make controlling outlets easier, I mounted an old cell phone to a wall and installed an SNMP application called PDUMan. I also created a little web interface that utilizes SNMP to control the outlets from any web browser.